Turn your surveys in to beautiful, visual data and help everyone on your team understand the impact of your work. 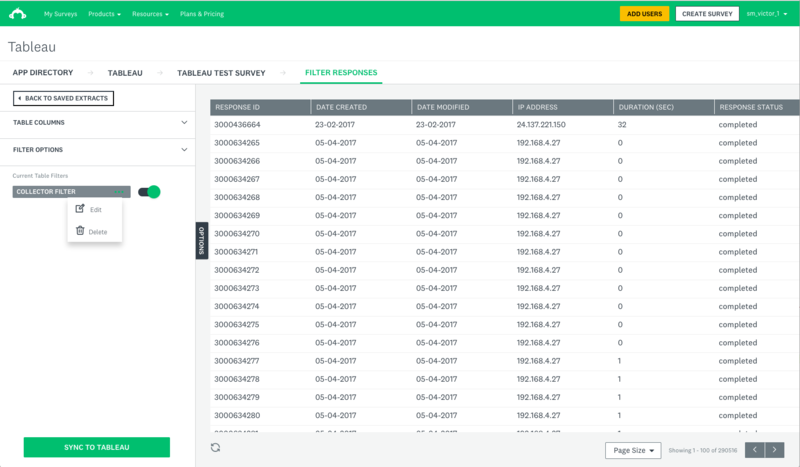 Import your SurveyMonkey data into Tableau, and display it using a plethora of options—heat maps, filled maps, box-and-whisker plots and more. 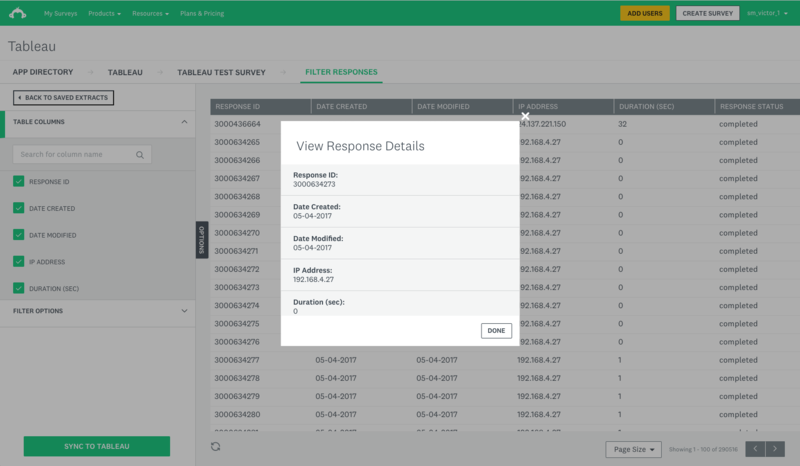 Filter your survey by response and metadata type, and zero in on the data that really matters. Learn more about visualizing your data with Tableau in our Help Center. 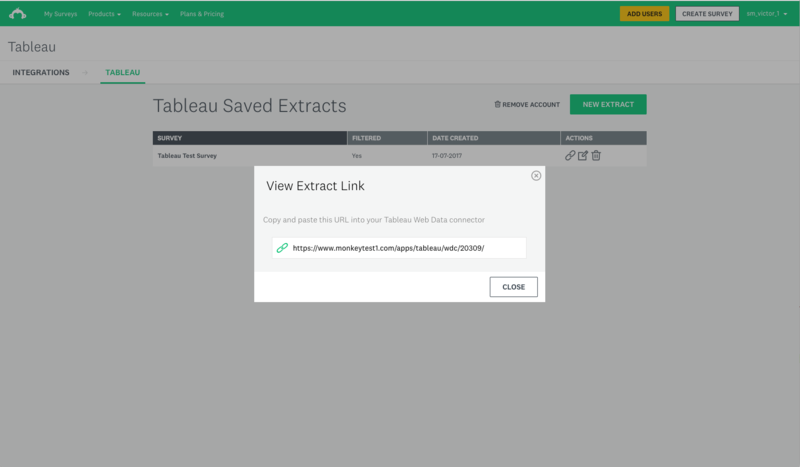 Tableau Online is a hosted version of Tableau Server, no setup required. Tableau Desktop is sold per Named User, with a perpetual license and annual maintenance. Features vary based on Professional vs Personal.